At this point your basic break down should be almost complete. 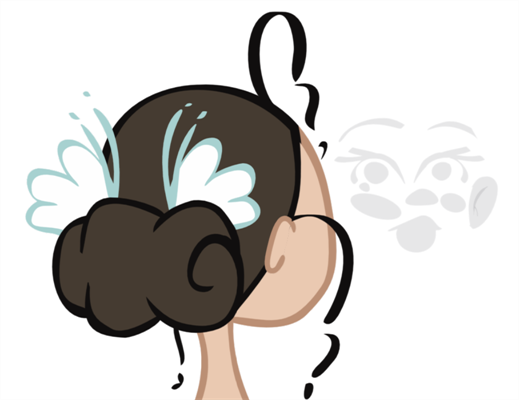 There is one optional step you can do before moving on, adding extra drawings and expressions to your character; adding ghost drawings. Some parts have no drawings in certain views. 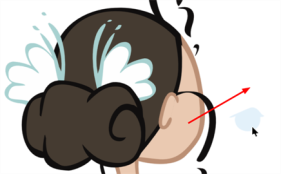 For example, the left eye has no drawing available for the Side view. To make your puppet more efficient when you will animate, a good trick is too add invisible drawings that you can select even when no image is necessary. 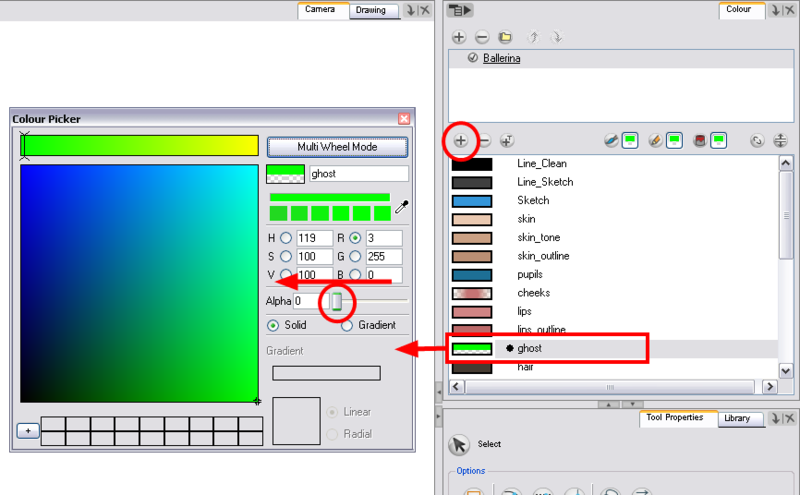 If you need to select a part of your character to use the Drawing Substitution feature or Inverse Kinematics tool, or to avoid having the system automatically fill in the exposure gaps when swapping images, then creating ghost or invisible drawings can be very useful. To create ghost drawings, copy one of the existing drawings, paste it in the empty cell and repaint it with a fully transparent colour. 1. In the Colour view, add a fully transparent colour to your character's palette. 2. In the Timeline view, select the cell containing the drawing you want to copy to create your invisible drawing. 3. In the Tools toolbar, select the Select tool or press [Alt] + [S]. 4. In the Camera or Drawing view, select the drawing to copy. 5. In the top menu, select Edit > Copy or press [Ctrl] + [C] (Windows/Linux) or [⌘] + [C] (Mac OS X). 6. In the Timeline view, select the empty cell where you want to create your ghost. 7. Click on the Camera or Drawing view and in the top menu select Edit > Paste or press [Ctrl] + [V] (Windows/Linux) or [⌘] + [V] (Mac OS X). 8. In the Colour view, select the transparent colour. 9. In the Tools toolbar, select the Select tool and offset the drawing outside the body's area or press [Alt] + [S]. 10. 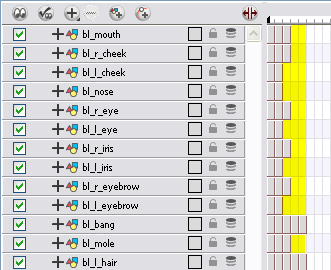 In the Tools toolbar, select the Paint tool or press [Alt] + [I]. 11. In the Camera or Drawing view, repaint the drawing to make it invisible. At this point, you could decide to convert your layers to symbols. See Converting the Layers into Symbols.